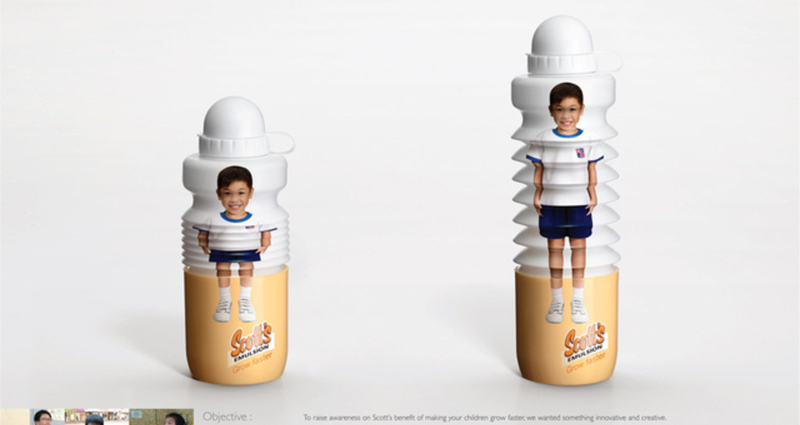 Grow Faster / GlaxoSmithKline Ltd.
Parents always wish for their kids to grow up fast. With Scott’s help, they can fulfil their wish. Therefore, to illustrate this benefit, we printed a full-size kid on a concertina-type water bottle to hand out to parents. When it is pulled out, the printed kid seems to grow tall immediately, right before your very eyes. To raise awareness on Scott’s benefit of making your children grow faster, we wanted something innovative and creative. Ray Man Photography Co., Ltd.